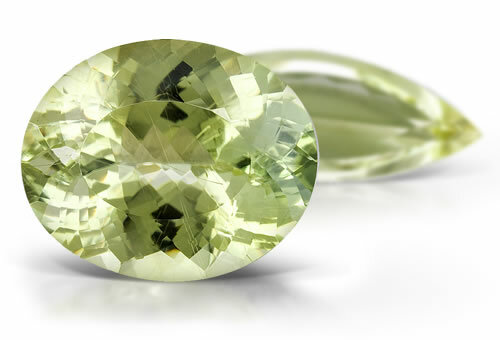 Although euclase can resemble beryl in its appearance, that is where the comparison ends. Unlike beryl, euclase contains water, has a monoclinic crystal system and a higher specific gravity. It is only occasionally that its well-formed crystals have sufficient clarity to be cut as gemstones. Crystals are commonly prismatic, can be long or short and are striated. Because of their rarity, gems with good clarity command premium prices. Most material is colorless to pale blue or pale green, but colors can range from blue to blue-green, green, yellow, white, colorless, and, rarely, purple. Euclase can contain quartz and fluid inclusions. Red or blue plate like inclusions and dark gray metallic inclusions of bravoite are possible. Colorless stones or pale yellow stones might have blue-green color zoning.